The building stands at the epicentre of the AZCA district, the financial centre of Madrid. With this location, Castellana 81 enjoys magnificent connections to domestic and international transport. 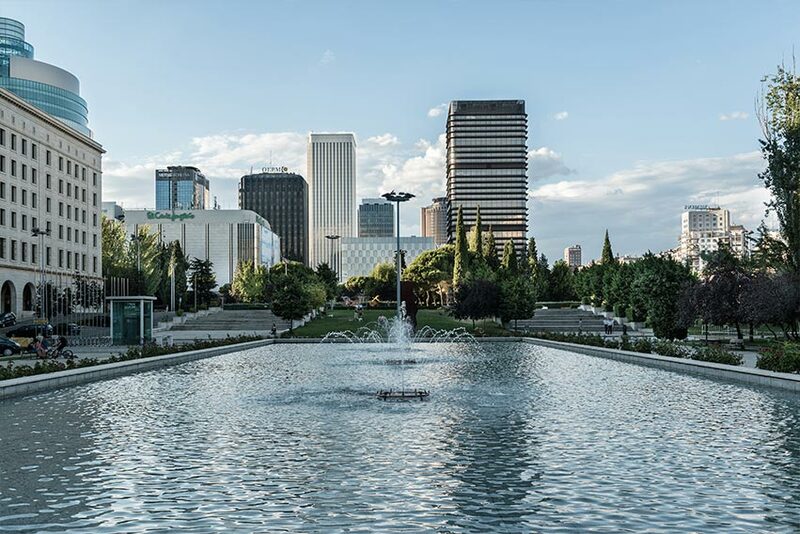 Only 15 minutes from the Adolfo Suárez Madrid-Barajas Airport, it is perfectly connected with Madrid’s public transportation network. 5 bus lines and 5 BiciMAD stations less than 200 meters away and taxi stop in front of the building. Nuevos Ministerios transportation hub less than 50 m away with 3 metro lines and 7 local train lines. Connected with fast-access roads in and out of the city (A-1, A-2, M-11 and M-30). 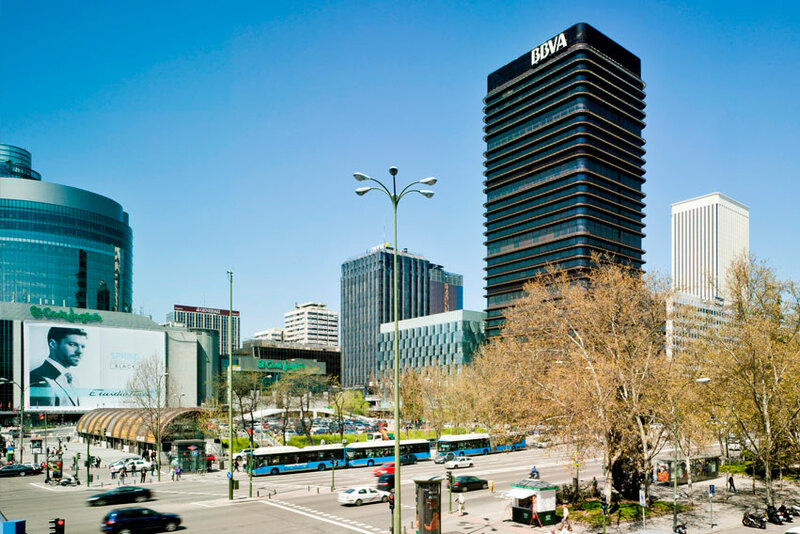 The area surrounding Castellana 81 has one of the most comprehensive and diverse service offerings in Madrid, including: hotels, restaurants, shopping centres, financial entities, schools, fitness studios, pharmacies, wellness centres, and luxury shops. ALCOBENDAS-SS DE LOS REYES 23 min. Puerta de Atocha 8 min.